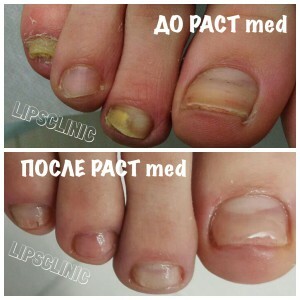 Home » Nails » Nail Fungus Treatment » How efficient are the popular methods of nail fungus treatment? Nail fungus is a real problem, which can be encountered by anyone. According to the statistics, 25% of Russian nationals suffer from this disease. Despite the fact that it is rather a common disease, many people feel uncomfortable with seeing a doctor about such a problem. Some of them attempt treating it with home remedies, others, being influenced by TV advertisements, buy lots of fashionable antifungal medicines at drug stores… Does such self-treatment bring any results? Let’s look into this together. You can find a great deal of recipes and advice on how to cure fungus with home remedies on the Internet. All kinds of expedient means are used, from preparing ointments and tinctures of food products, to preparing homemade remedies of special medicinal herbs. If you have read recipes of this kind, you must have noticed that all of them are accompanied with convincing testimonials from the miraculously cured patients. But if everything is so easy, why does the number of patients suffering from nail fungus grow year by year? We are not going to persuade you that antifungal lacquers and ointments are unable to rid you of nail fungus — they are really effective. But! It doesn’t matter what you’ve purchased: an ointment, a cream, or a lacquer for nail fungus, these remedies will help you cure your nails only in the very beginning of the disease, when a small area of the nail plate is affected. And yet another important remark: the remedy must be chosen by a mycologist. The medical science counts more than 50 species of fungi, so if you use antifungal remedies at your own risk, without tests and an accurate diagnosis, you shouldn’t expect good results. But taking treatment by local agents under a doctor’s supervision doesn’t always bring positive results either. Ointments, lacquers and creams don’t penetrate into hard-to-reach places, so there are relapses often after taking a course of treatment. As a result, the disease progresses, and you lose precious time experimenting. Antimycotics (antifungal tablets) must be necessarily prescribed by a mycologist. Tablets are used when it is already impossible to get rid of nail fungus with the aid of local agents. Even though the tablets are prescribed by a doctor, after an examination and all kinds of tests, they don’t only cure but also harm the organs. Antimycotics have an adverse impact on the gastrointestinal tract, the liver, and the kidneys. They can’t be prescribed to children, pregnant women, or people with renal or hepatic impairment. To be completely cured, you have to take courses of tablets for several months and to combine them with using local agents. This is a completely new revolutionary method of getting rid of nail fungus that was invented in Germany just several years ago. This method is called photodynamic antimicrobial therapy. It is based on the differences between fungus cells and human body cells. Fungus cells have thinner membranes, so they are sensitive to light waves of certain length. During a session that is performed with the use of the PACT Меd light wave emitter, fungus cells are destroyed, and healthy body tissues remain safe and sound. Photodynamic antimicrobial therapy can be prescribed to absolutely everyone who suffers from nail fungus, regardless of their age and state of health. 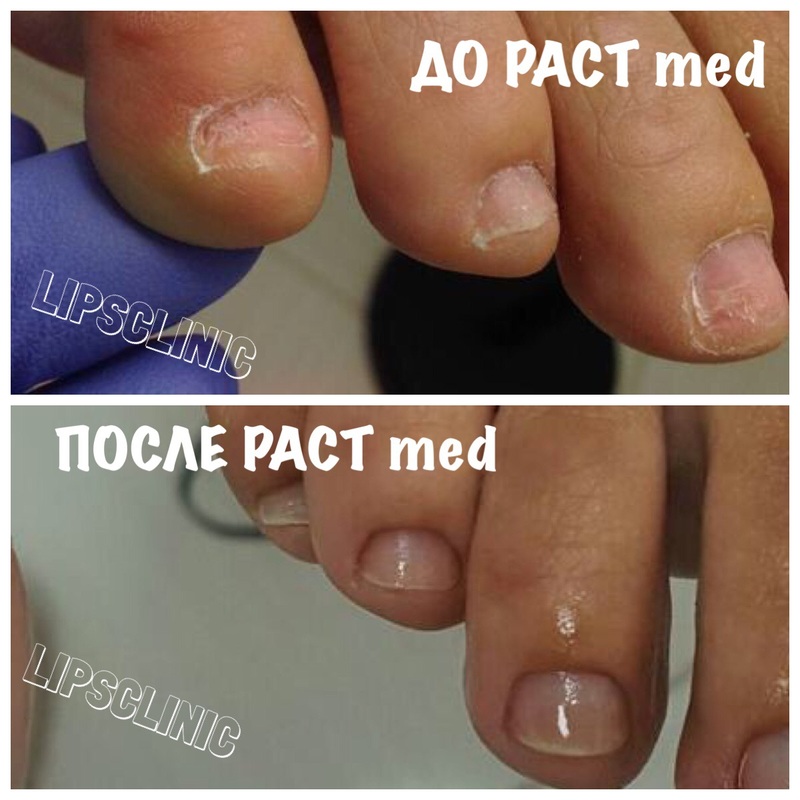 Photodynamic nail treatment can be done as many times as it is needed to obtain a positive result. It has no restrictions, contraindications, or side effects. This method guarantees getting rid of the disease because fungus spores are eliminated even in hard-to-reach places. Having assessed the advantages of curing nail fungus with the aid of light waves, we decided to practice this method at our clinic. Now we already have dozens of successfully cured patients. Do you want to get rid of fungus in a safe way that has no contraindications? To schedule an appointment with our clinic’s mycologist, call 8 800 700-72-87 (toll-free in Russia) or leave a request on our website.